Grossmont's Cal Farris lines a single to CF for one of his four RBI on Wednesday in a 4-3 win over LCC. 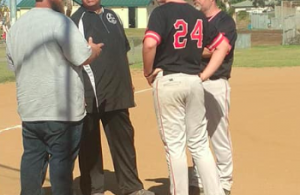 EL CAJON (3-24-16) — After three days and 50 games of pool play in the 66th Annual Lions Tournament, it’s come down to this for East County – four Inland teams will advance to today’s (Mar. 24) divisional playoffs. Grossmont will play for the big prize as they reached the semifinals of the prestigious Classic Division. Christian has powered its way into the Premier Division semis, while surprising Steele Canyon has clawed its way into the 6A Division semis. The almost overlooked El Cajon Valley Braves (7-2) have reached the championship game of the 1A Plus Division and will face the Temecula Rancho Christian Eagles (8-3) at noon at Granite Hills. GROSSMONT 4, LA COSTA CANYON 3 (9 inn.) 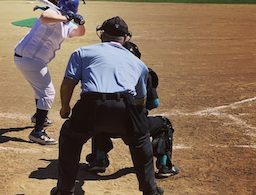 – La Costa Canyon and Grossmont High both have storied baseball programs. Grossmont has won nine CIF-SDS Championships over the last 22 years. While LCC has been in the championship game seven times in their 20-year history. JONAS BUCHANAN celebrates after sliding home safely with a run for Grossmont on Wednesday against La Costa Canyon. So going into the third day of the 66th Annual Lions Club Tournament’s Classic Division contest between the two powerhouses, two things were evident. One, the game would be good. And two, the scouts would be out in force. Both of those things came to realization on Wednesday (Mar. 23). Grossmont (6-2) would win the game on a CALVIN FARRIS bloop single with the La Costa Canyon (6-2) drawn in infield in the ninth inning at Joe Gizoni Field on Grossmont’s campus. The Foothillers got the early lead in the bottom of the third. JONAS BUCHANAN singled with one out. He advanced on a groundout. Farris came through with his first single of the day that brought him in for a 1-0 lead. LCC would not stand for that. In the top of the fourth the Mavericks started their picket fence. The Mavs would put single runs in the fourth, fifth and sixth innings to form the picket fence. Grossmont would not stand for that as they came back in the bottom of the sixth. KYLE PINEDA walked to get the inning going. Pineda would then steal second to get into scoring position. After a fly out, Buchanan walked to put runners on first and second. Both runners were safe on a double steal to put some pressure on the Mavericks. A lineout threatened a double play to close the inning. Buchanan got back to second to avoid being doubled up. That was a good thing as Farris came through with a two out, two run single to tie the game up at 3-all. Both teams went scoreless in the seventh and eighth innings. LCC rallied but could not cash in. With one out EVAN McCARTHY singled from the top of the lineup. A wild pitch and passed ball put him on third and was the motivation for the Maverick infield being drawn in. Farris closed the day out with the above mentioned bloop single. Farris started the day on the mound and went six innings allowing eight hits and three runs (only one earned), one walk and five strikeouts. ADAM LOPEZ came in and got the “vulture” win, coming in for one out and being the pitcher of record when the Foothillers got the win. Grossmont will face El Camino Real at Torrey Pines in the semifinals on Thursday (Mar. 24) at noon. If Grossmont can knock off El Camino Real, they will play the winner of Rancho Bernardo-Cathedral Catholic for the Classic Division championship at 3:30 on the Dons’ diamond. “The reason why we are playing in the top level of the Lions Club Tournament, the reason why we try and schedule the best teams early like this is to be ready for Grossmont Hills League action,” the first year head coach at Grossmont stated. SAN PASQUAL 12, STEELE CANYON 11 (9 inn.) – Scoring runs hasn’t been a problem at Steele Canyon during the first three days of the 66th Annual Lions Tournament 6A Division play. The Cougars, in fact, have scored 40 runs but fell one marker short in Wednesday’s (Mar. 24) nine inning loss at San Pasqual. The Cougars built a 9-4 lead into the 7th inning and couldn’t hold it as the Golden Eagles scored 5 runs on 6 hits to knot the score at 9-9. Thus the game continued on and the Cougars scored 2 runs in the 8th inning to regain the lead. AVERY TUCK singled and advanced to second on a passed ball, and scored on an infield grounder by JOSH ESQUIBEL. 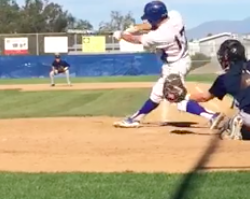 Ironically, that was the only time in five at-bats that San Pasqual was able to deny Esquibel a hit. TANNER LOGAN followed with an RBI single and once again it appeared that Steele Canyon had things well in hand, leading 11-9. Not so, as San Pasqual counter-punched with a pair of markers. An inning later the Golden Eagles scored the winning run on a wild pitch. Due to a strong showing in the first two games, the Cougars earned a semifinal challenge against Granite Bay at Westview at 9 a.m.
Esquibel finished with 4 hits, including 2 doubles, scored 3 runs and drove in a pair. MATTHEW BAGDASAR slashed a double and a triple to collect 3 RBI for Steele Canyon. CHRISTIAN 13, CRESPI 0 (6 inn.) – After a basically meager offensive start, Christian finally made connections, collecting 15 hits to crush Encino Crespi on Wednesday (Mar. 23) and careened into the 66th Annual Lions Tournament Premier Division semifinals against Scripps Ranch at Cal State San Marcos on Thursday (Mar. 24) at 9 a.m. If the Patriots can roll past the Falcons, they will qualify for the championship game versus the winner of Vista-Bonita Vista at 3:30 at the same locale. KYLE STOWERS was 3-for-3 with 2 doubles and 3 runs scored to pace the Patriots. Leadoff man ZACH HOGUIESSON was 2-for-4 with a double and a triple to drive in 3 runs. The show, however, belonged to CHASE WEHSENER who pitched a complete game 5-hit shutout and was 3-for-4 with a double and an RBI. For good measure NATE CAZARES was 2-for-3 with a 2-run homer and 4 RBI. Not to be overlooked was JOHN GERSHOW who was 2-for-2 with 2 runs scored and 2 RBI. EL CAJON VALLEY 11, HIGH TECH-CV 4 – HECTOR CARREON, who carries a .621 (18-29) batting average with 13 RBI, will lead the El Cajon Valley Braves into a championship round for the first time in recent memory. The Braves (7-2) will face Rancho Christian (8-3) in the 66th Annual Lions Tournament 1A Division plus contest at noon at Granite Hills. The Braves made a 3-0 sweep in Lions Tournament play to reach this plateau. In Wednesday’s (Mar. 23) pool play El Cajon Valley beat High Tech-Chula Vista 11-4. SANTANA 5, McCLATCHY 0 – Santana’s NOAH NUNEZ spun a 4-hit shutout, walking none and striking out 7 in a complete game effort for his second win in as many decisions. His battery mate, catcher EMORY ALLEN-FOX was 2-for-3 providing 2 clutch hits in Wednesday’s (Mar. 23) 66th Annual Lions Tournament 5A Division game. Allen-Fox slashed a 2-run single in the first inning which followed a sacrifice fly by JACOB ODENKIRK to make it 3-0 in the opening frame. In the second ANDERS TOLHURST ripped a double and eventually scored on a groundout by REECE HERNANDEZ to make it 4-0. In the fifth Allen-Fox closed the door with an RBI single. WEST HILLS 4, CANYON CREST 3 – The Wolf Pack pulled off a nifty upset of Canyon Crest in Wednesday’s (Mar. 23) final round of pool play of the 66thAnnual Lions Tournament 5A Division. West Hills punched out 3 runs in the opening frame. Pitchers GABRIEL SCHUBERT and AARON BARKLEY provided the pad for the Pack by blanking the Ravens through four innings. West Hills extended its advantage to 4-0 in the fifth inning but surrendered 3 markers to the Ravens in the bottom of the frame. Barkley collected 3 RBI on two hits, while JEREMIAH BARR chipped in with an RBI double. Schubert got the win by allowing only 6 hits while striking out 5 in five innings. Barkley toiled two innings, striking out 3 to walk away with the save. NEVADA UNION 16, MOUNT MIGUEL 13 – Host Mount Miguel was involved in a free-swinging slugfest against Nevada Union in the final round of pool play in Wednesday’s (Mar. 23) of the 66th Annual Lions Tournament 4A Division game. ANDREW MONTIJO was 2-for-4 with 4 RBI to spark the Matadors, who totaled 18 hits as a team. ANGEL ABARCA was an ideal leadoff man as he went 5-for-5 with 4 runs scored. JOHNNY NICASIO and MIGUEL OROZCO chipped in with 3 hits apiece for Mount Miguel. GREEN VALLEY 4, GRANITE HILLS 0 – The up and down Eagles couldn’t solve Green Valley’s Matt Gilbertson, who limited Granite Hills to only one hit in Wednesday’s (Mar. 23) 66th Annual Lions Tournament Classic Division final round of pool play. In the bottom of the third inning, RILEY REYES hit a line drive single to left field, but it would be the only connection Gilbertson surrendered. Granite Hills will host Rocklin in a Classic Division consolation contest on Thursday (Mar. 24) at noon. EL CAPITAN 4, MONTGOMERY 0 – DYLAN WANNAMAKER and JUSTIN ZAMORA combined on a 2-hit shutout, striking out 7 without issuing a single walk in Wednesday’s (Mar. 23) 66th Annual Lions Tournament Classic Division contest. El Capitan scored all the runs it needed on a 2-run single by VICTOR CARLINO and a 2-run double by JASON MOORMAN. MATER DEI 3, MONTE VISTA 1 (8 inn.) – The Monte Vista Monarchs once again struggled at the plate, mustering only 3 hits in an 8-inning loss to Mater Dei on Wednesday (Mar. 23) in a 66th Annual Lions Tournament 4A Division encounter. Monte Vista took the early lead on an RBI single by JUAN GUTIERREZ in the first inning. Mater Dei stole the game with 2 runs in the top of the eighth to waste the excellent pitching of the Monarchs’ ANDREW GONZALES, who scattered 7 hits and allowed only 2 earned runs in a complete game effort. EL CAMINO REAL 7, HELIX 5 (13 inn.) – The Highlanders let one get away against Woodland Hills El Camino Real in Wednesday’s (Mar. 23) 66th Annual Lions Tournament Classic Division finals of pool play. This was the longest game in East County this season, lingering for 13 innings. Helix tied the game 5-5 in the bottom of the ninth as ERIC SMELKO tripled down the right field line and scored on a base hit by CONNOR KONISHI. 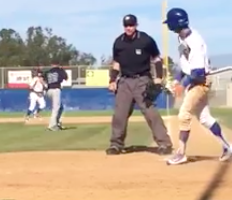 El Camino Real put the game away with 2 runs in the 13th inning in a game that lasted 3 hours and 26 minutes. EL CAMINO 5, VALHALLA 2 – The Valhalla Norsemen suffered their 8th straight loss as they fell behind El Camino and never could recover in Wednesday’s (Mar. 23) 66th Annual Lions Tournament Premier Division last round of pool play. Valhalla Norsemen senior COLE HENDERSON was handed a hard luck loss at the hands of the El Camino (3-5) Wildcats in a Premier game of the 66th Annual Lions Tournament at Eric Turgeon Field. Henderson handled the Wildcats with ease as he threw 5 innings allowing 4 hits and no earned runs while striking out 10. Junior LEWIS DIRKES continued his hot hitting going 3-for-4 with 2 doubles but the Norsemen could only muster 3 other hits – singles by CALEB ST. CLAIR and JOSH HEIDER and a RILEY O’SULLIVAN triple. The Norsemen scored in the 5th when Henderson walked with the bases loaded and COLE HOWARD’s ground out to short plated Riley O’Sullivan following his triple in the 6th. That was all the Valhalla offense could produce. 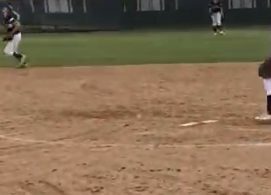 EC-SOUTHWEST 6, FOOTHILLS CHRISTIAN 1 – The Eagles of El Centro Southwest slapped the pitching clamps on the Foothills Christian Knights after taking a 5-1 lead in the third inning of the 66th Annual Lions Tournament 2A Division play on Wednesday (Mar. 23). TREVOR SMALLWOOD pitched 5 innings in relief, scattering 7 hits and allowing only one run but it was too little too late. On the offensive side Smallwood also smacked 2 hits in 3 at-bats and drove in the Knights only run of the game. MARK PROFETA was 2-for-3 with a double in the losing cause. Gilbertson and Leonard. Hazelhurst, JoVerdon (5) and Fenn. Martinez and Hermosillo. Wannamaker, Mora (7) and Lindsay. Scheidler, Merrill (6), Noble (6) and Orr. Farris, Ennis (7), Lopez (9) and Hindorff. Berg, Terrazs (6), Wicksman (12), Selio (13) and Yarg. Chase, Jackson (7), Hernandez (12), Smelko (13) and Isbell. Henderson, RO’Sullivan (6) and Heider. Wygant, Frolander (7) and Matzke. Bolger, Orozco (4), Smith (4), Lucerno (6) and Shulman. WP-Wehsener (1-0). LP-Bolger. HR-Cazares (Chr-1) 2nd, one on. Nadeau, Garmo (7), Fitch (8), Newberry (9) and Arias, Blethen (4). Trimm, Villalobos (4), Rocha (6), Garcia (7), Fleming (8) and Osgood. Frank, Bristow (3)and Hanson. Nunez and Allen-Fox. Shubert, Barkley (6) and Barkley, Sanford (6). Blakeman, Peluso (5) and Hargis. Fezhabor, Sims (5), Gobert (7) and Kaplan. and Montijo, Orozco (5). WP-Fezhabor. LP-Abarco (0-3). Machado, Flores (4) and Valez. AGonzales and DSandoval. Jezek, Menisift (4) and Ulloa. Carey, Smallwood (3) and Link.